After 16 years of negotiations, 11 Pacific island nations will sign the Pacific Agreement on Closer Economic Relations (PACER Plus) in Tonga on 14 June. The most positive things that can be said is that the event must be seen in light of broader efforts to improve regional coordination. The end of talks enables the 11 Forum Island Countries (FICs) that are part of the agreement to continue working together and allows them to concentrate on more pressing matters. Several technical trade-related issues have been brought up to date. This is faint praise. For most FICs, the significant time and effort devoted to negotiations are not worth the limited trade-related benefits that will result from the agreement. Indeed Papua New Guinea, Vanuatu and Fiji have decided not to sign. Labour market access for Pacific workers to Australia and New Zealand is disappointing. Only small sums of official development assistance are promised. Rules of origin (RoO) fall short of what could have been achieved and do not confer developmental advantages. The services agreement appears unlikely to be of much benefit to the island nations. More broadly, the PACER-Plus model of development is based on an increasingly questionable form of economics which naively imagines that national economies will adapt automatically to enhanced price signals from liberalised international markets from which ’distortions’ are removed. This model isn’t relevant in tiny, isolated islands featuring permanent shortfalls of domestic demand, inadequate capital stocks and extremely inflexible factor markets. Moreover, as has been demonstrated in both the developed and developing worlds, even if a case can be made that reduced trade barriers create aggregate gains, those gains are likely to be appropriated by a minority, leaving most people no better off. This is not an anti-trade position; on the contrary, trade is important to these tiny economies with their very small domestic markets. But more proactive national measures are needed to stimulate exports and to replace imports, and to redistribute income. Market access isn’t everything. This said, the agreement is unlikely to have a severely negative impact on FIC economies. The purported risks associated with the loss of ability to protect domestic industry have been exaggerated. Tariffs are mostly already low and falling, limiting further revenue losses. Other trade agreements are beginning to render PACER Plus less relevant. In many ways the conclusion of negotiations signals disappointment and lost opportunity, but leaves governments free to pursue the more important issues of boosting the domestic economy using active measures – in particular targeted infrastructure investment – to raise the sustainable supply of goods and services. 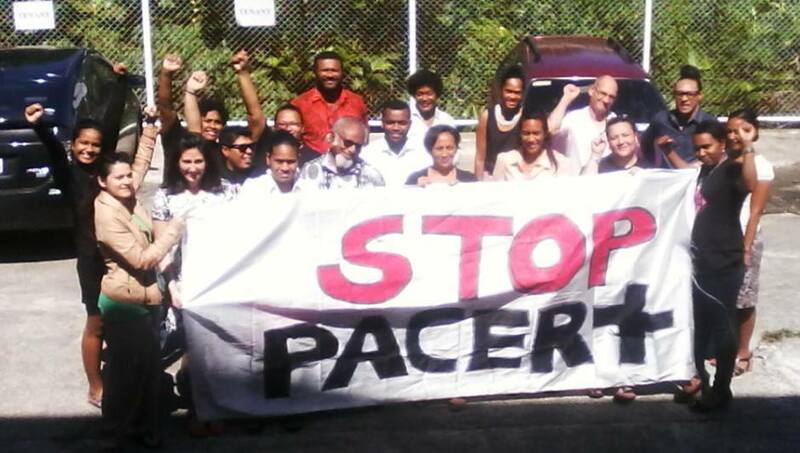 PACER-Plus will place reciprocal obligations on the developing island states, replacing a previous unilateral agreement known as SPARTECA. FICs did not take full advantage because they lacked productive capacity, which undermined the consistency and quality of supply for export. The rules of origin (RoO) under SPARTECA which determined what qualified as a Pacific island product were too onerous – at 50% of value-added. Despite calls for greater flexibility on RoO in PACER Plus, insufficient progress has been made, with the value-addition requirement now set at 40% for most goods as well as the addition of a so-called change in tariff classification. If PACER Plus were genuinely development-orientated, it would have further eased RoO. Better RoO, however, would probably have been too late in any case, given that the ASEAN Australia New Zealand FTA (AANZFTA) will eliminate tariffs on 99% of trade with key ASEAN markets by 2020. There will soon be little incentive for Australian and New Zealand companies to source goods from the Pacific islands when they can import them duty free from the larger and more competitive ASEAN nations. If Australia and New Zealand wished to provide extra aid these countries should do so regardless, outside a trade agreement. Aid should not be used as a bargaining chip in negotiations. Australia in particular has cut additional development assistance in light of domestic fiscal austerity and the move to move AusAID to the Department of Foreign Affairs and Trade. The Australian Government will provide A$19 million to fund the management and delivery of the Work Programme, while New Zealand will provide NZ$7 million. The combined sum is very small – and amounts to the equivalent of around $2.4 million per developing FIC signatory, although Australia and New Zealand will also provide additional aid for trade. The draft texts are similarly disappointing on international movement and labour mobility. It is good that the temporary movement of natural persons has been addressed, but, as expected, commitments by Australia and New Zealand do not extend to low-skilled workers. What PACER Plus does not provide, and what was sought by the Pacific island states from the beginning, was legal formalisation – with a set number of workers – of the successful seasonal worker schemes run in Australia and New Zealand. For many, this is the overriding disappointment of PACER Plus. The whole point of including labour mobility in a trade agreement was to create legal certainty. All that has happened as a result of PACER Plus is that labour market non-integration has been formalised. For World Trade Organisation (WTO) members in effect PACER Plus will make little difference because they will trade under WTO rules. And it’s important to recognise that a trade agreement really only sets a limit from which there can be no stepping back. It does not guarantee incoming investment or trade. Inward investment is in practice somewhat unregulated, so access is in many areas isn’t inhibited anyway, reducing the point of a trade agreement – particularly a reciprocal one. If anything, although progress in regulation is being made, more domestic regulation is needed, not less. The much more important tasks are to expand the provision of sustainable goods and services and to make the economy a more attractive environment in which to invest for both foreigners and locals, as well as raising the rate of investment. Trade policy should be an integrated, cross-governmental enterprise concerning both market access and the development of supply. The potential gains appear so limited, and in some cases have formalised such a sub-standard status quo or created unnecessary disruption, that it is even questionable whether it is worth the islands cashing in on the effort expended over those years. In the past decade the Pacific has experienced a boom in trade with Asia, which should, if anything, have been the region on which effort and time on negotiations was expended – indeed it may yet be. Australia and New Zealand appear to have put their own interests ahead of those of the islands in an effort to finish negotiations, prioritising the possible precedent for their ongoing or possible negotiations with other countries. Ultimately if ’development’ was the intention, a refined and improved SPARTECA with enhanced provision for sanitary and phytosanitary measures, RoO and technical barriers to trade may have been a better solution – alongside long-term, formalised labour mobility — rather than a reciprocal agreement, tied to Aid, with 11 countries which are of very little commercial importance to Australia or New Zealand.